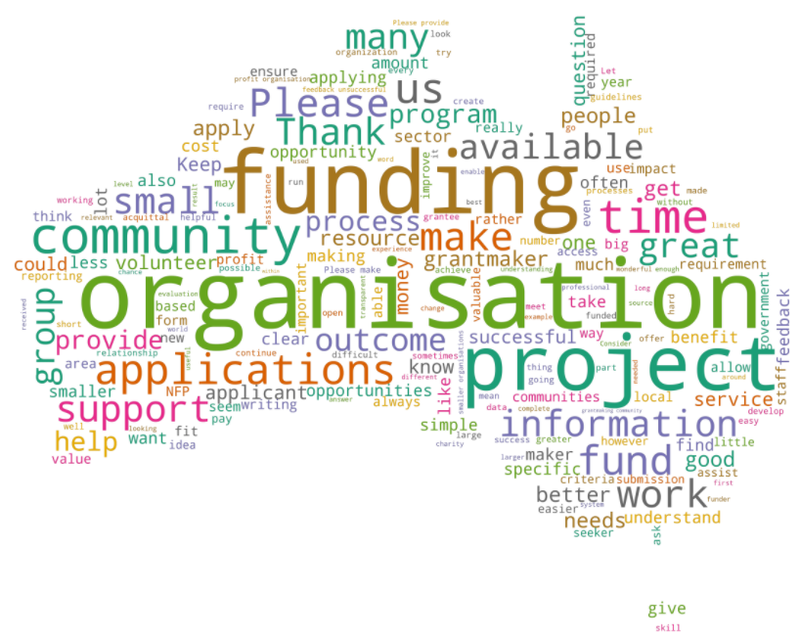 The Grants in Australia 2017 research study - drawing on the views of more than 1200 grantseekers - reveals a huge amount of effort is being wasted on abandoned grant applications, large organisations are increasingly scooping up the small grants too, and pressure is building on local government to shell out more. Examine the full report below for details of these findings. "Billions are distributed across Australia in grants each year, but good outcomes are not guaranteed. We want to play a part in ensuring that every precious grant dollar is used to produce the maximum benefit for Australian society," Our Community executive director and "chaos controller" Kathy Richardson says. This year's analysis was overseen by Our Community data scientist Joost van der Linden, with the help of experts from Our Community's Funding Centre, Australian Institute of Grants Management and SmartyGrants and forms part of a decade-long research project by Our Community's Innovation Lab. The Grants in Australia 2017 study is the largest survey of Australian community organisations and not-for-profits on grants and grantmaking and is the ninth such report, produced more or less annually since 2006. It provides important data and key reference points for Australian grantmakers and grantseekers, academics, social sector enablers, and others interested in the field. These lists have been informed by analysis of the Grants in Australia 2017 research report. The production of these takeaway lists reflect Our Community's aim to ensure that the data we collect is not just interesting but useful. Benchmark your organisation's grantseeking performance against those of nearly 1300 groups across Australia, with this comparison tool.